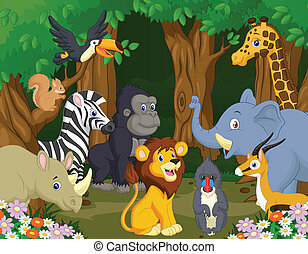 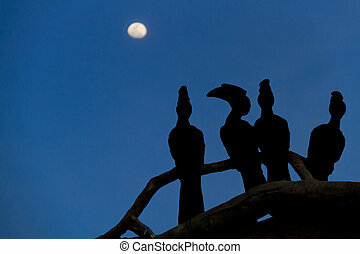 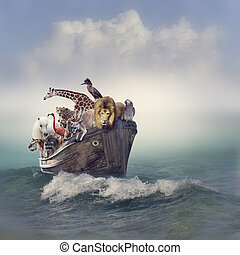 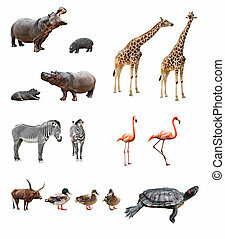 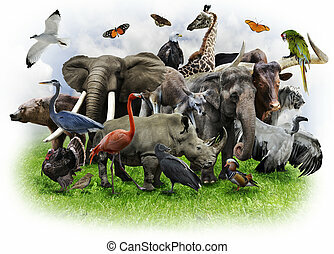 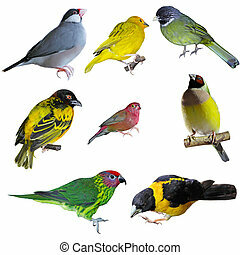 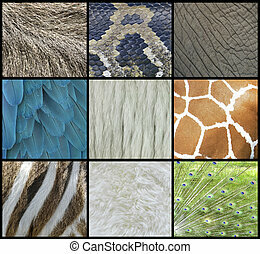 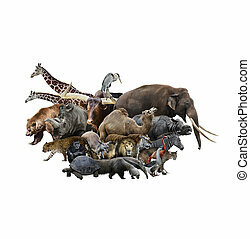 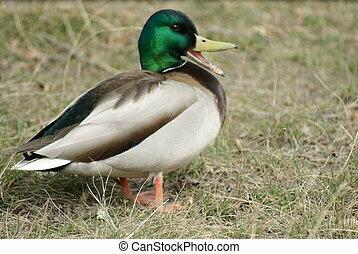 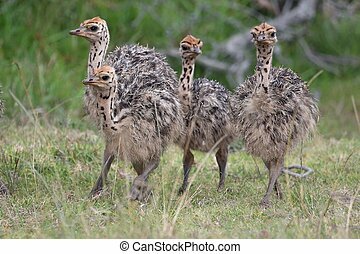 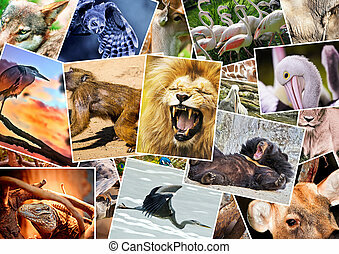 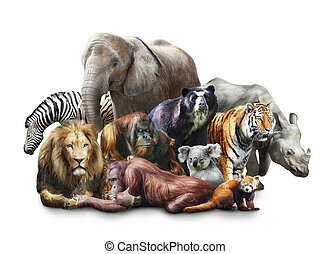 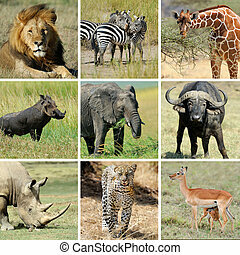 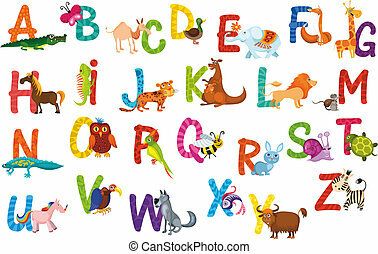 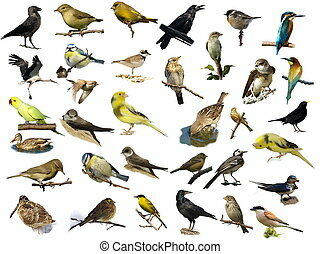 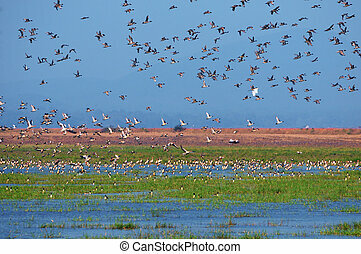 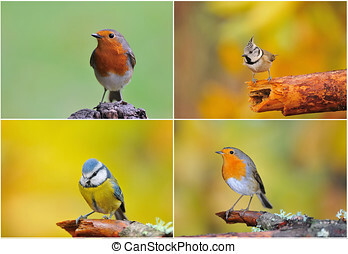 A collage of wild animals and birds. 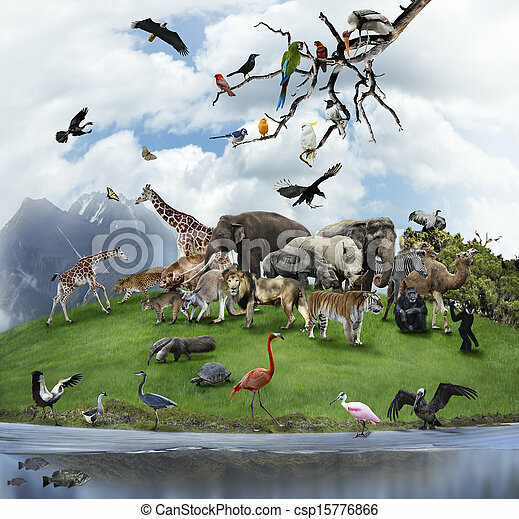 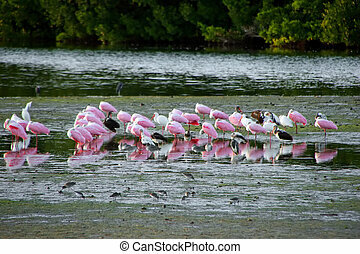 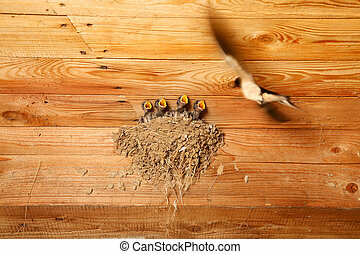 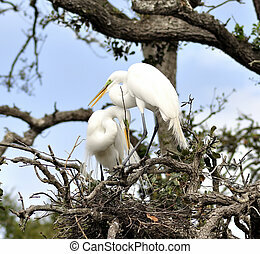 Nature collage with wild animals and birds. 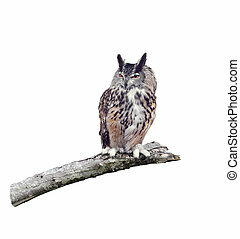 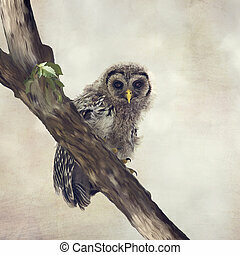 Young Barred Owl Perches on a Branch.Digital painting. 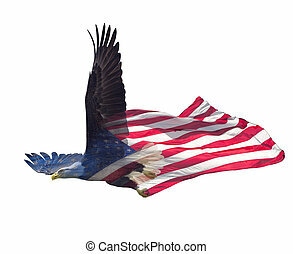 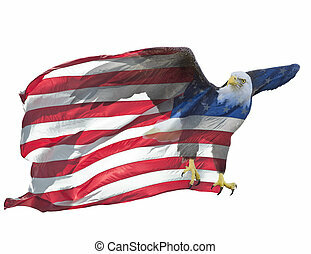 Double exposure effect of north american bald eagle on american flag.